Study after study shows that as homes become more energy efficient, more contaminants become trapped inside. The air we breathe in our home is loaded with pollutants like pollen, dust, pet hair, dander, dust mites, tobacco smoke, spores, and disease-causing bacteria. Traces of pollutants can trigger miserable reactions for allergy sufferers. In addition, these pollutants can also damage your draperies, upholstery, and even your furnace and air conditioning equipment. The typical throw-away furnace filter only traps about 5 - 15% of these polluting particles. In this day and age, you need a whole-house, high efficiency air cleaner to do the job. And, unless you know what you're looking for, picking the best air cleaner to fit your needs can be quite a challenge. An Air Cleaner will help protect your health from the dangers of indoor air pollution. According to the EPA, Air cleaners may reduce the health effects from some particles - small solid or liquid substances suspended in air, such as dust or light spray mists. 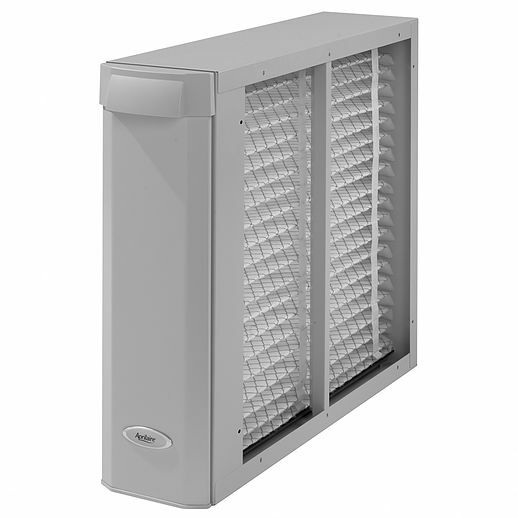 Some air cleaners, under the right conditions, can effectively remove certain respirable-size particles. These invisible particles are of concern because they can be inhaled deeply into the lungs. Removing such particles may reduce associated health effects in exposed people. Amazing as it may seem, the Environmental Protection Agency (EPA) states that indoor air in your home may be 4 to 100 times more polluted than the outdoor air in cities like Los Angeles and Houston. Sources of indoor pollution may be: insulation, dust mites, mold spores, pollen, animal hair, bacteria, pet dander, cleaning products, tobacco smoke, out-gassing from carpet, drapes and plastics, and many other allergens and irritants. Protect yourself and your family with an air cleaner professionally installed by Callahan AC & Heating Services. 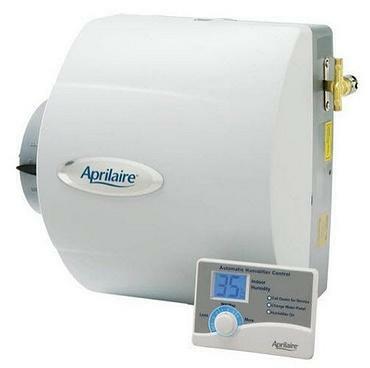 Humidifcation is one of the more important aspects of home comfort and indoor air quality. During the winter heating season the relative humidity of the air drops significntly causing the air in your home to become more dry. Low humidity can increase your chances of getting a cold, the flu and other respiratory ailments. According to The American Society of Otolaryngology, low humidity can make people more susceptible to infection. In addition, drier air can aggravate allergy and asthma symptoms and lead to dry noses, nose bleeds, sore throats, dry and itchy skin. Low humidity can also damage your walls, hardwood floors, woodwork and furniture as well as musical instruments and electronics. A Whole-Home Humidifier is the most effective way to add the proper humidity to your home which helps to prevent problems caused by dry air. Not only will a whole-home humidifier minimize the ill effects of dry air and make you more comfortable but it will also save you money. According to the EPA, every degree you lower your thermostat can result in 4% savings on your heating bill. By adding moisture to the air, it helps a room retaian heat more easily. Whole-home humidifiers are installed directly to your centrail heating and air conditioning system providing whole-home comfort unlike portable units which only serve certain rooms. Maintenance is easy and infrequent, requiring service just once or twice a year compared to portable units which require messy tanks to be emptied and humidity levels to be monitored. Whole-home humidifiers offer fully automatic digital controls which monitors levels of relative humidity for you. Your home will fluctuate with the changing outdoor temperature so that after you have set the control you can forget it and your home's humidity level will always be where you want it.